The most powerful loudness solution available for your NLE/DAW today. 4 products delivering unsurpassed quality and workflow efficiency. Loudness Toolkit is the leading solution for loudness compliant delivery. Everything you need to produce reliable, loudness-normalised audio, seamlessly integrated into your audio production workflow, from stereo up to 7.1.2-channel surround. The most powerful loudness solution available for your NLE/DAW today. Three products working in concert to deliver unsurpassed quality and workflow efficiency. Using an industry standard gives you confidence and peace of mind. VisLM delivers everything you need – intuitively, accurately and immediately. With a unique design focused on primary loudness parameters, VisLM combines an instant overview with detailed historical information, enabling you to hit your target first time, every time. Additional loudness logging and time-code functions allow for proof of compliance reporting and postmortem analysis with frame accurate referencing. VisLM is also the first software meter to measure dialog-gated LRA. ISL uses the standardised True Peak algorithms of ITU-R B.S. 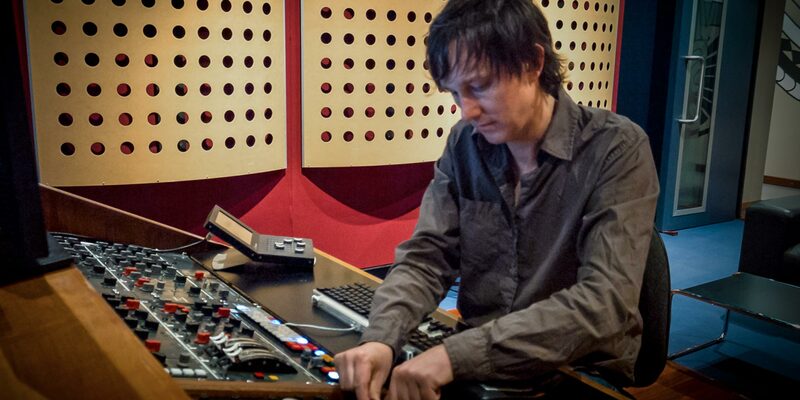 1770 and related standards (including Apple ‘afclip’ True Peak detection), and is suitable for the control of audio for post production, music mastering and broadcast applications. True Peak limiting can also be used to ensure that downstream codecs (mp3, AAC etc.) do not introduce distortion into the signal. Either within your NLE/DAW or as a standalone application, LM-Correct delivers automated compliance with True Peak correction, solving your compliance issues on the spot. Used in conjunction with a real-time meter, LM-Correct saves iterative adjustments to the mix as you approach target levels, allowing transparent in-edit 'quick-touch' finishing of your audio. It’s an essential part of your loudness toolkit. 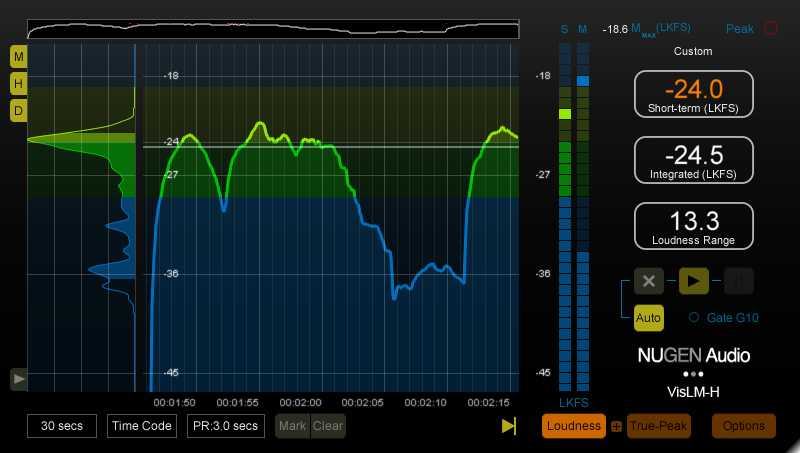 Included with the Loudness Toolkit bundle is the DynApt Extension for LM-Correct. Powered by technology developed for our server-side solutions, even complex specifications can be met with great sounding algorithms and smooth efficiency. 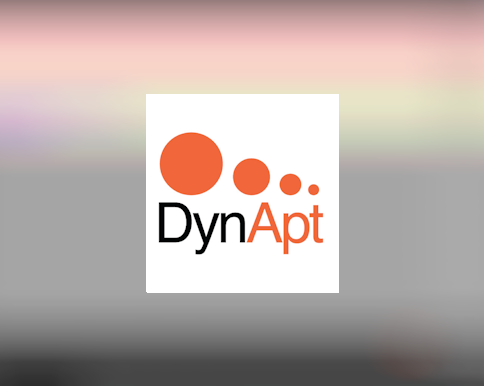 Uniquely, the new DynApt extension also allows immediate correction for LRA and dynamics, whilst preserving dialog intelligibility and correctly identifying and respecting intentional dramatic transitions. 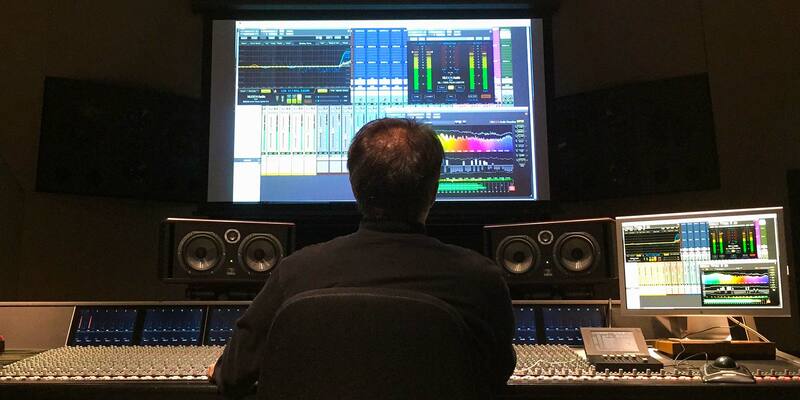 VisLM is an ideal tool to achieve average loudness harmonisation from differing sources, consistently balancing music, dialog and special effects in order to hit specification easily and intuitively. World class, broadcast quality limiting is an essential requirement for any broadcast production, and the latest standards also demand True Peak compliance. ISL delivers both, giving you superb sound with complete confidence when meeting True Peak delivery criteria. 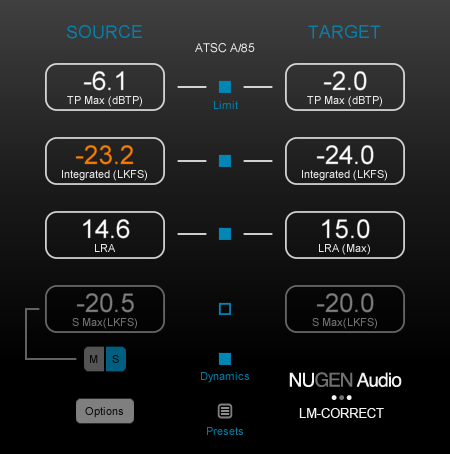 LM-Correct is ideal for use in situations where time is of the essence, providing an automatic method of rapidly conforming audio to current loudness standards. The plug-in can be used within a project to measure and correct audio without needing to leave the editing environment, enabling rapid in-place loudness normalisation of mono, stereo or multi-channel audio. "VisLM saves so much time because I have a history that shows me an entire song." 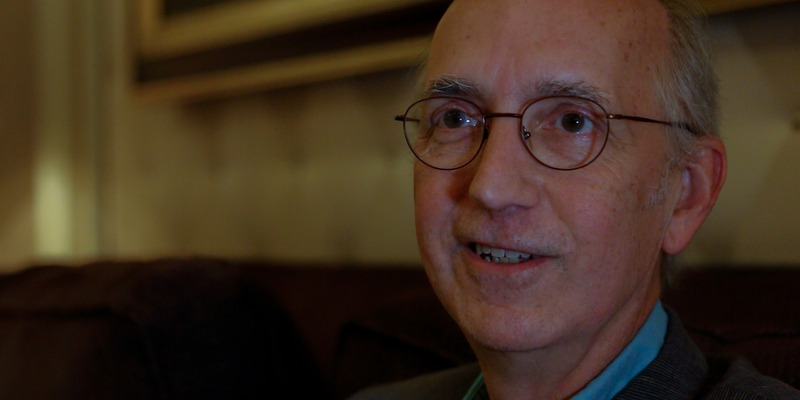 "With VisLM, we have the tool we need to provide our viewers and listeners with the optimal audio experience." 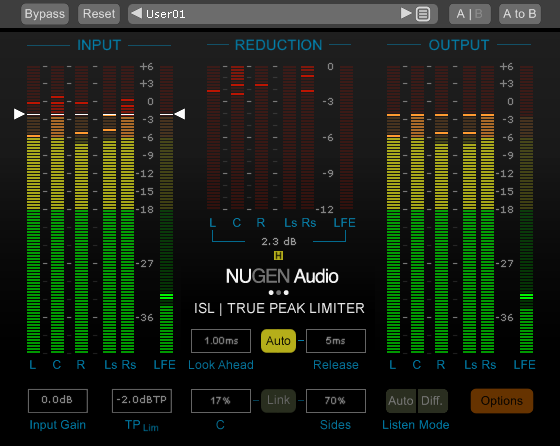 "One particularly valuable tool is NUGEN Audio’s LM-Correct plug-in."